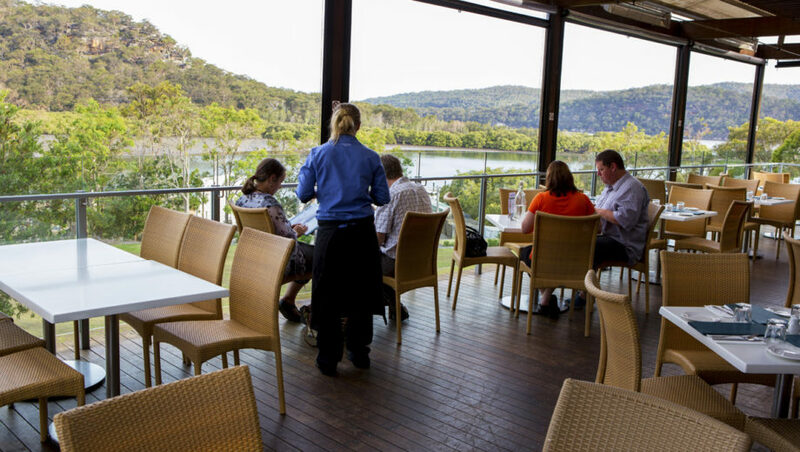 Nestled on the shores of the Hawkesbury River, with views across to Brooklyn, you’ll find the tranquil setting of Mooney Mooney Club. Kick back on our large open-air balconies and enjoy the idyllic riverside location. Apart from its serene waterside setting, Mooney Mooney Club is best known for its restaurant Coastal Dining – the perfect place to celebrate a special occasion, enjoy a mid-week meal or laze away a Sunday afternoon in an elegant yet relaxed atmosphere. The Club’s other facilities include a lounge area with bar meals and snacks, kids playground, lawn bowls and even a courtesy bus to get you here and home again. Just 45 minutes drive from Sydney and the halfway point between Sydney and the Central Coast, Mooney Mooney Club makes an ideal location to meet in the middle with family and friends or for small business meetings. The Club also boast its own wharf facilities so patrons can take full advantage of this cruising mecca and call in by boat for lunch, dinner and drinks or even stock up on takeaway food and beverage supplies. The Mooney Mooney Club was established in 1971 and in February 2003 went into voluntary administration. A General Meeting was held in April 2003 where members voted overwhelmingly in favour of amalgamation, and on the 1st April 2004, the Mooney Mooney Club became part of the Revesby Workers’ Group. 2007 saw a major $2.5m redevelopment of the Club, followed by more renovations in 2011 to make Mooney Mooney the destination it is today.